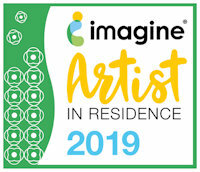 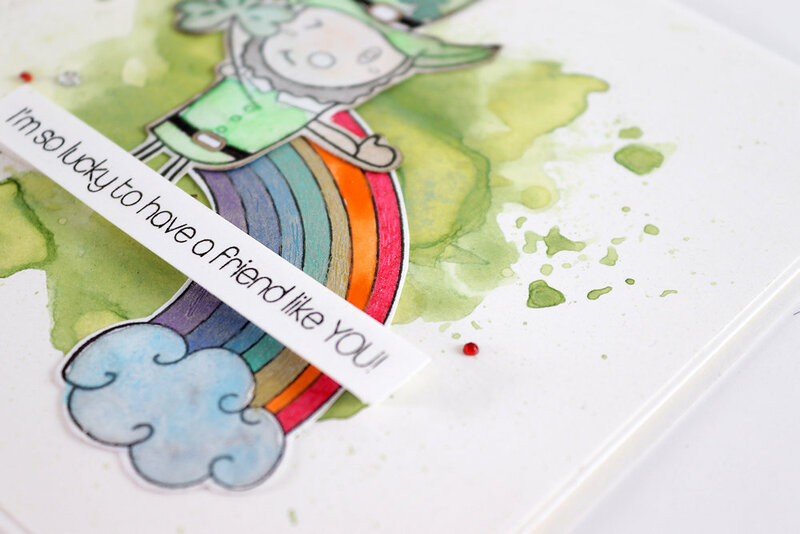 See How to Use Inkers for a Mixed Media Tag. 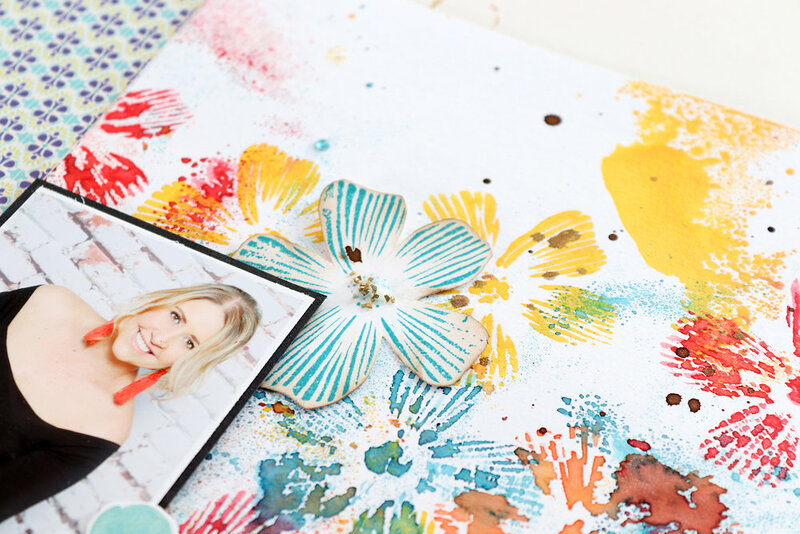 This month’s color, Coral offers so many possibilities. 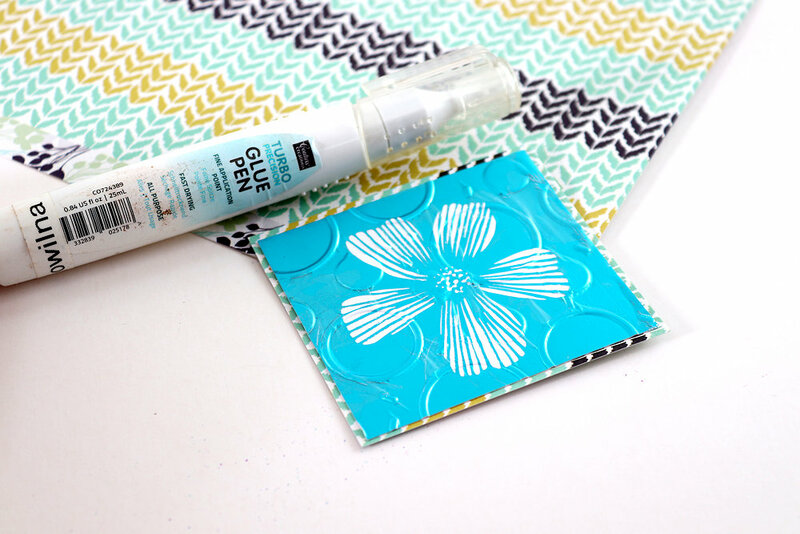 I pulled out all my products in those shades and created a bright and beautiful gift tag perfect for tying around a gift. 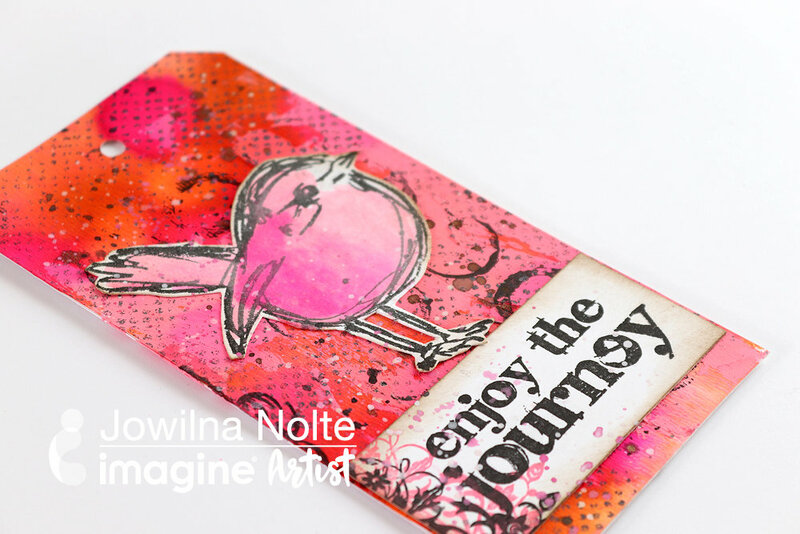 I love making tags instead of cards – so quick and easy and just the right size to experiments and create some fun effects. 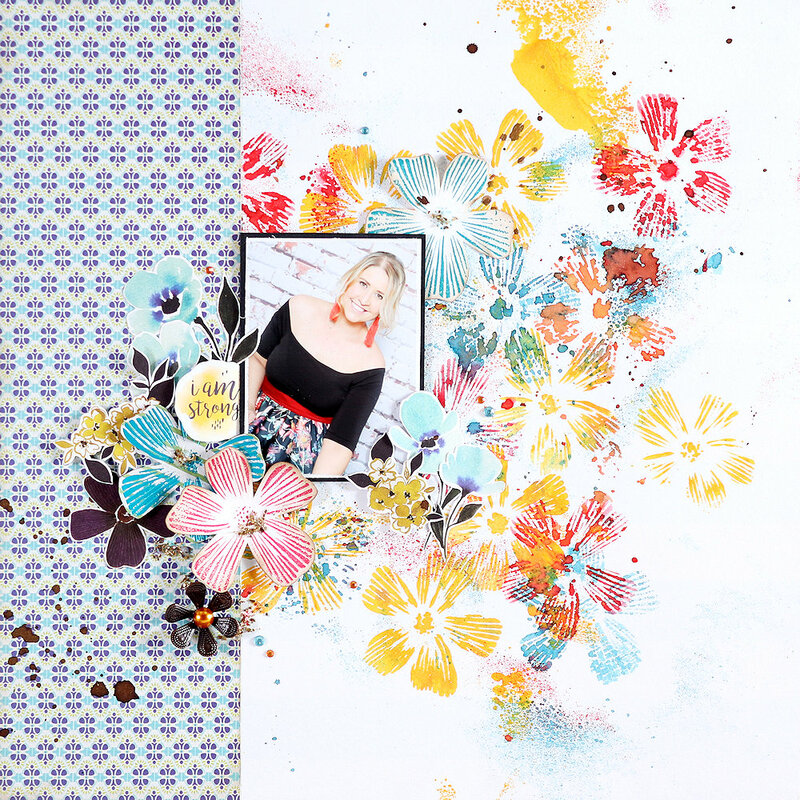 Mixed Media Layout with Jowilna – Couture Creations. 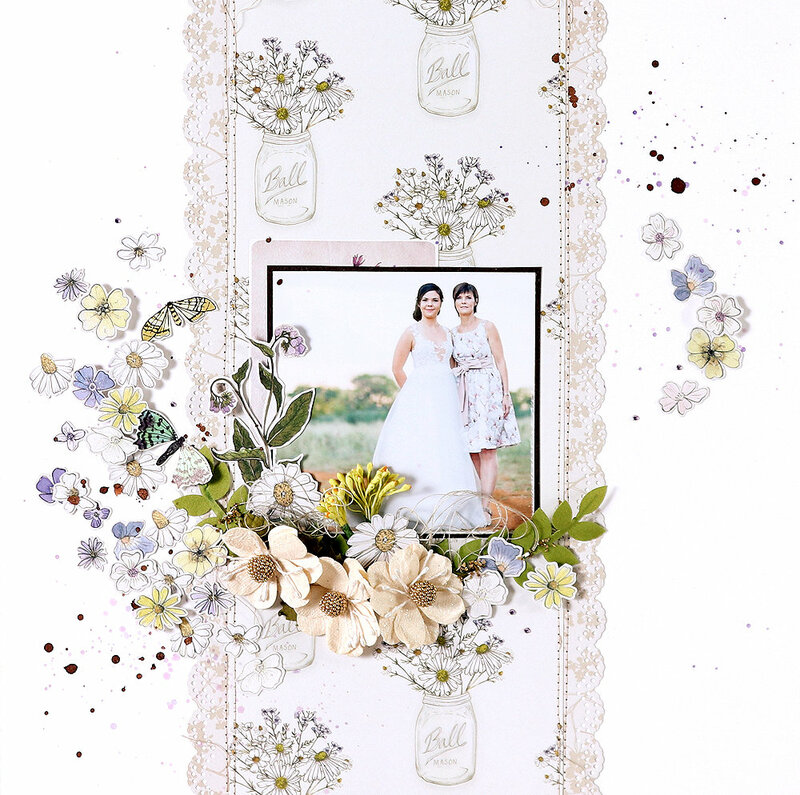 I am sharing this layout using some of the gorgeous dies available combined with the versatile Le Petit Jardin paper range. 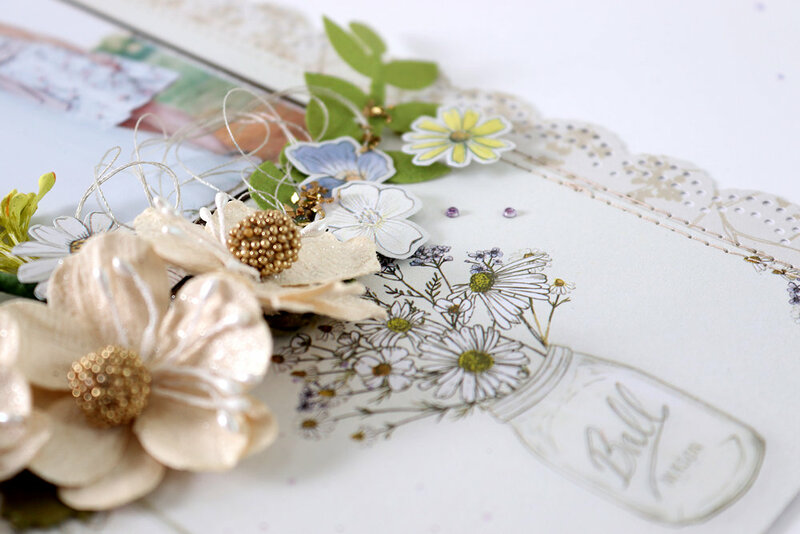 With the new range of Modern essentials dies its easy to add beautiful details to any project. 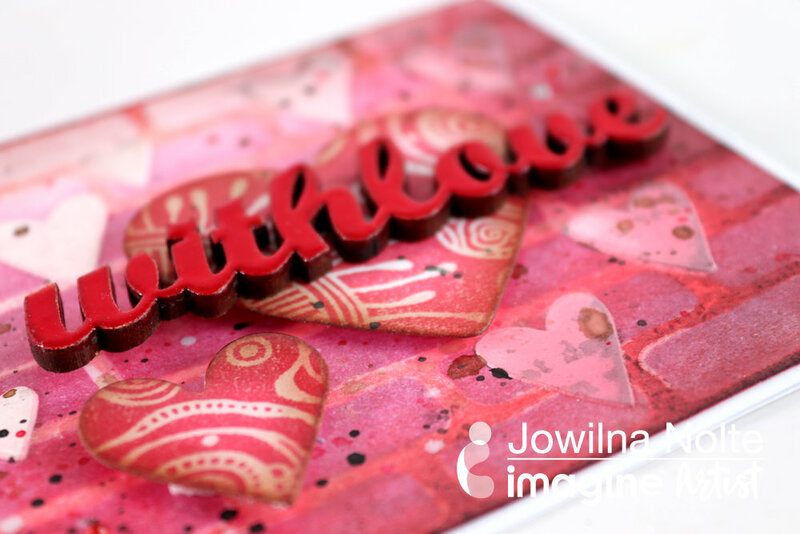 And that’s exactly what I did with this layout. 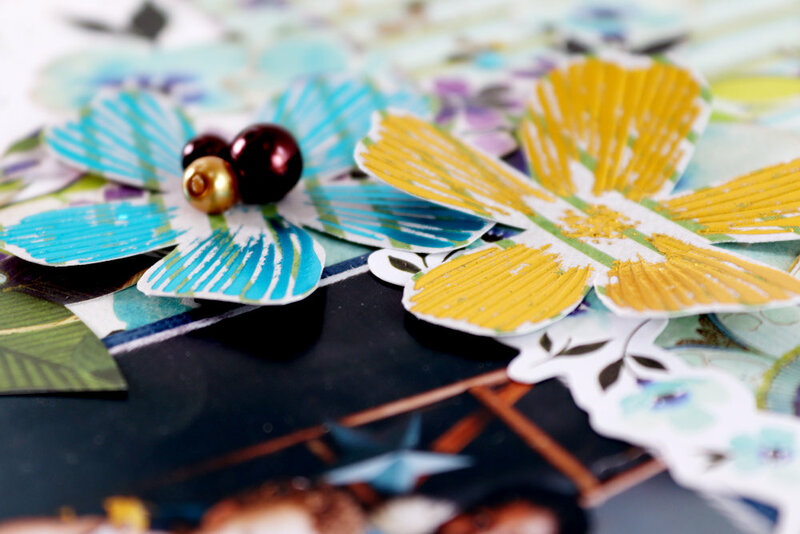 I used my die-cuts to frame the photo on one side and the Le Petit Jardin Ephemera on the other side – this way I am placing the focus on my photo which is ultimately the most important part of telling the story. 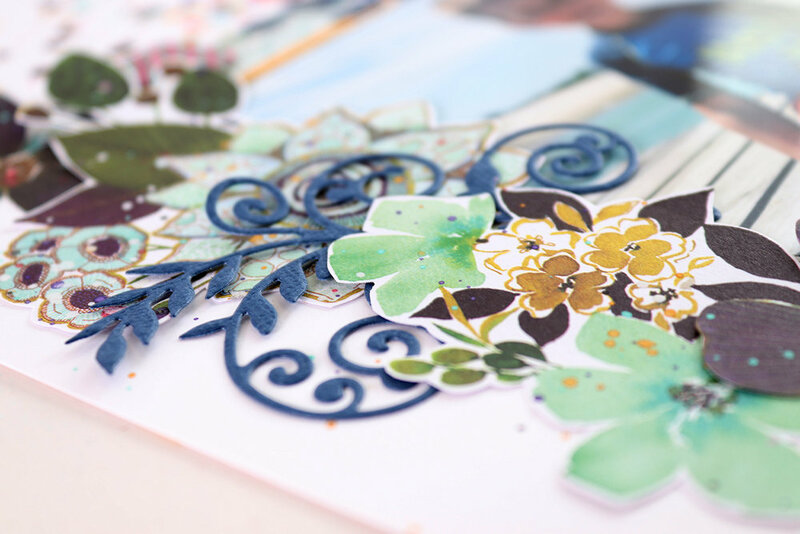 I used the Le Petit Jardin dies, corner and flourish cut out of blue cardstock for my layout. 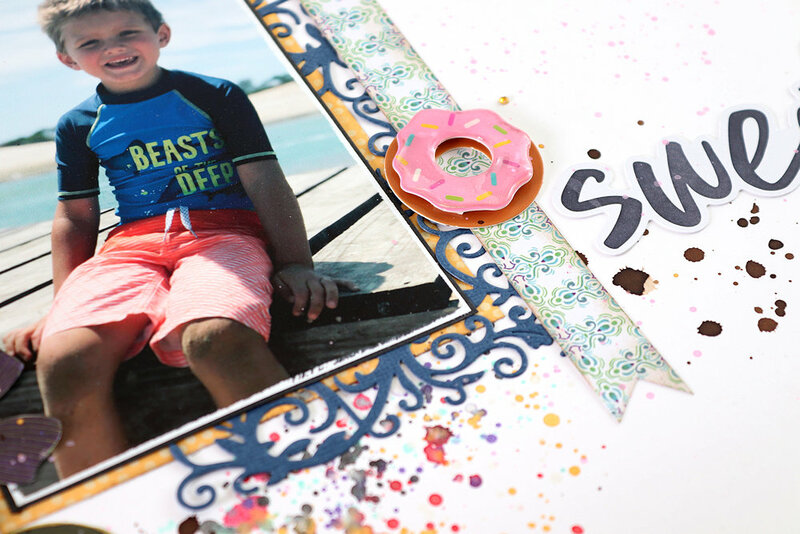 The 2 x corner cuts was used to frame the photo on the right hand side. 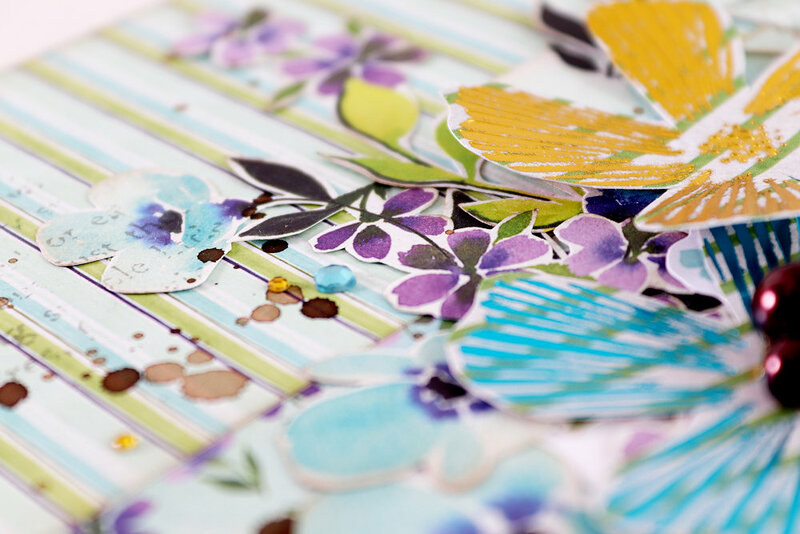 The flourish die-cut was grouped together with some ephemera elements on the left hand side of the layout. 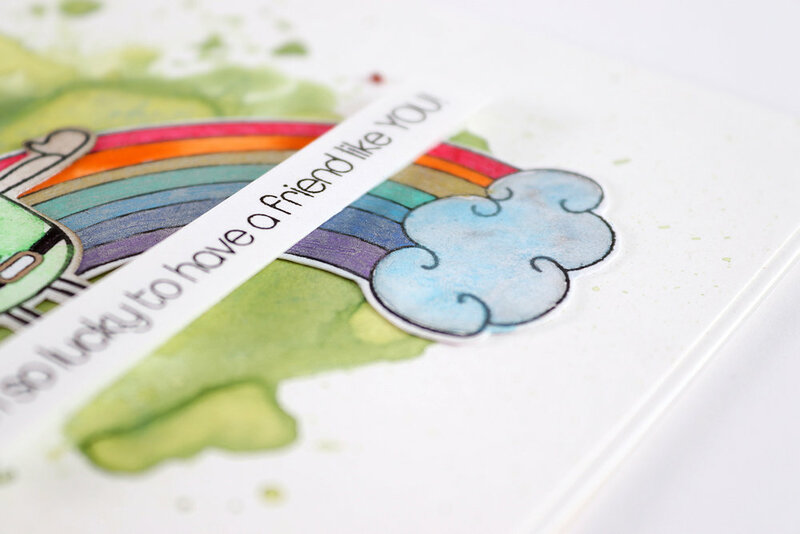 To add colour to my layout I used watercolour paint to splat colour onto the background. 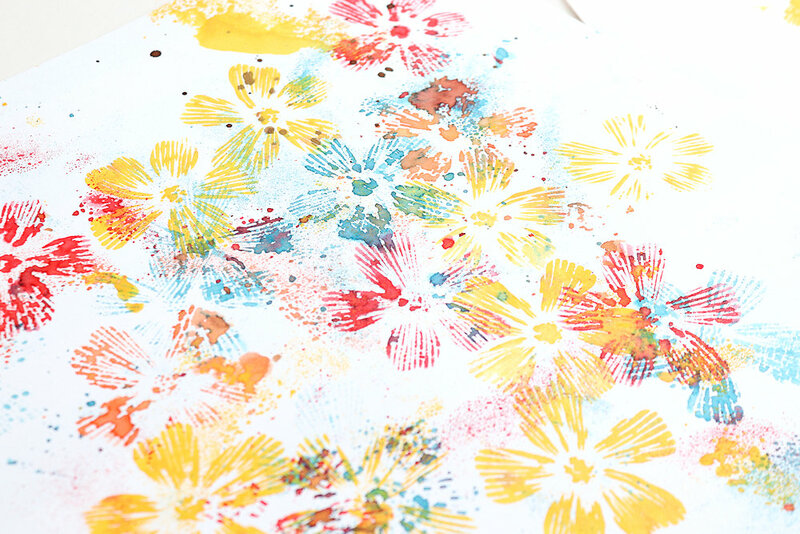 The colours picked were found in my photo. 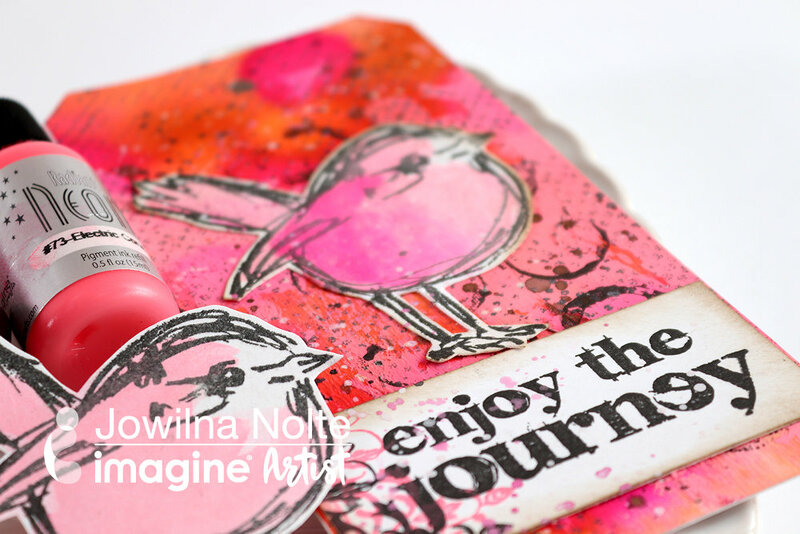 I love how it makes the layout bright and fun, and together with the paper also a bit grown up. 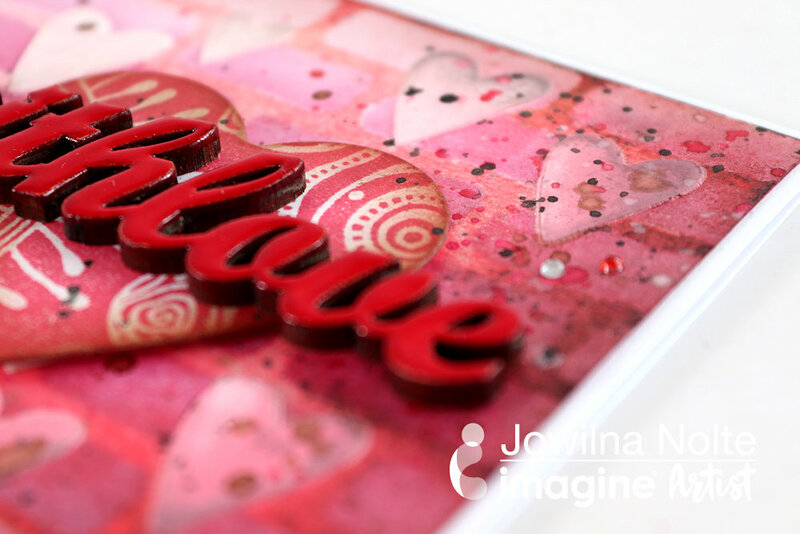 This range is truly versatile and I like adding colour to it. 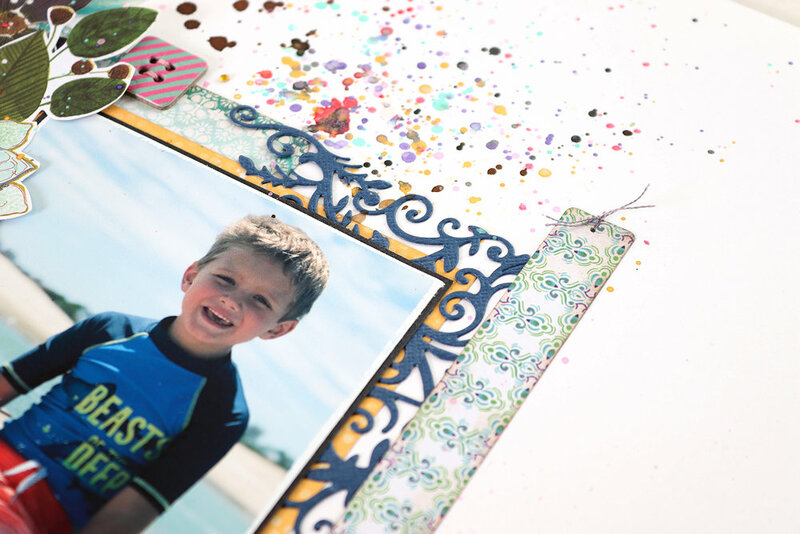 The colours added to this layout makes for a fun and youthful project. 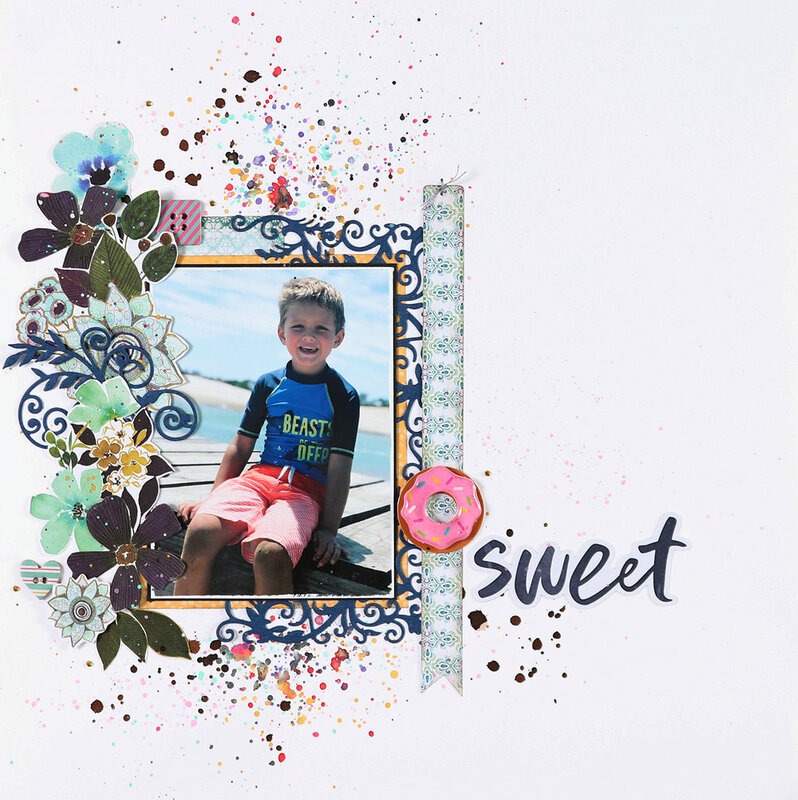 The donuts sticker used makes further adds to the accent colours used and is a fun addition to an otherwise serious layout. 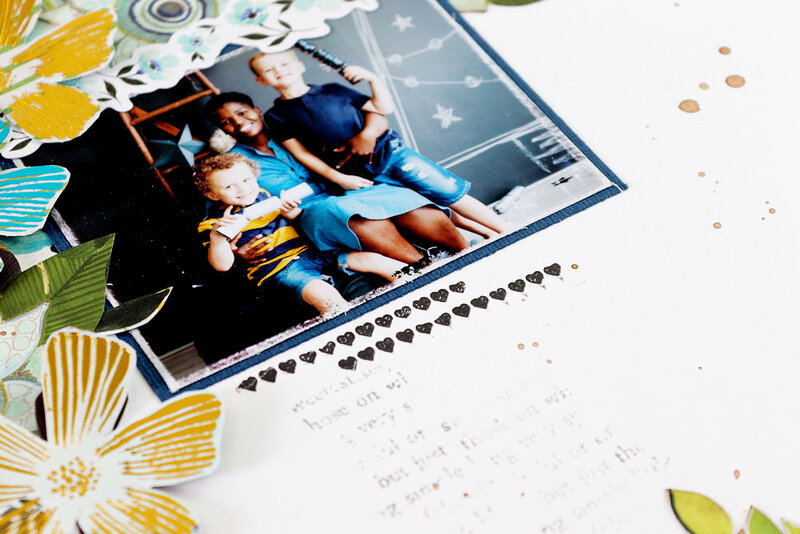 Until next time – have fun using your die-cuts on your projects – adding texture and pattern. 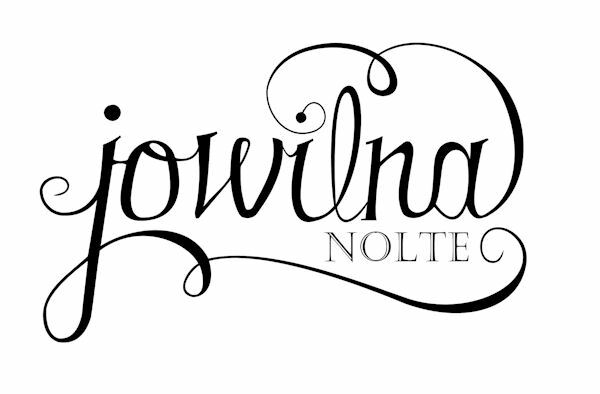 But above all have fun! 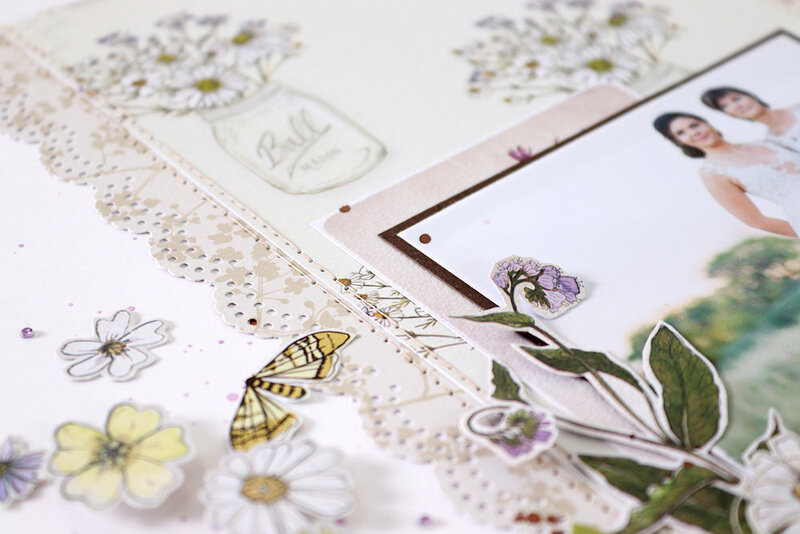 Welcome to the blog today – I am sharing a beautiful simplistic layout with you today using the Le Petit Jardin range. 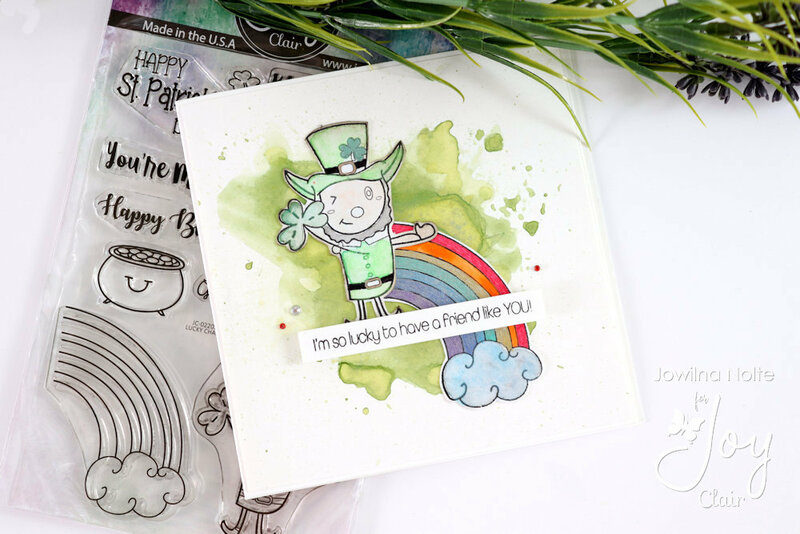 This range won’t be complete with the amazing Poppy Hot foil stamp added to it. 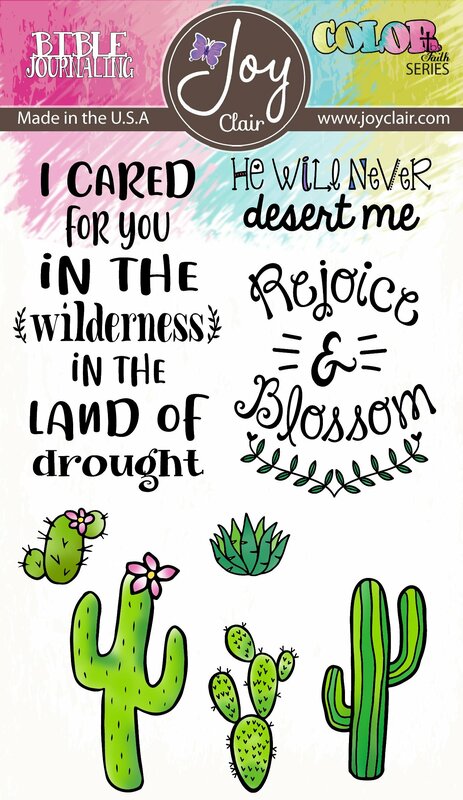 I think its my new favorite of all designs. 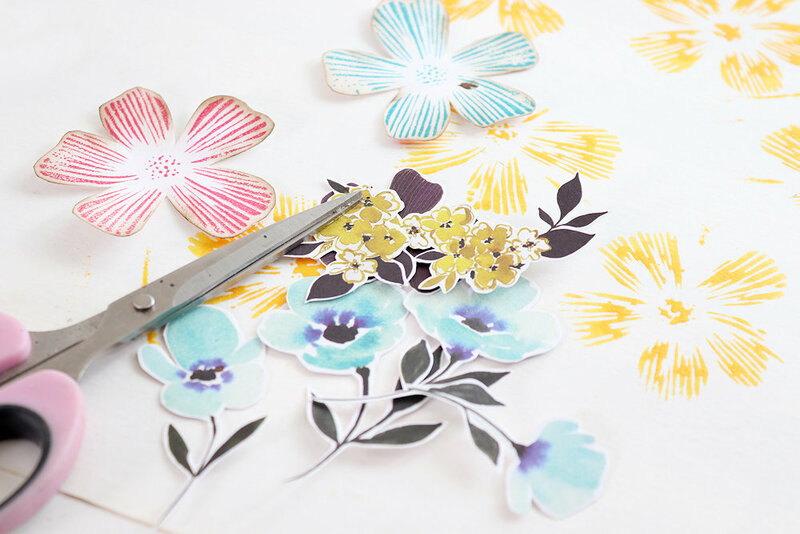 step 1 – Cut out some flowers from the paper #04. 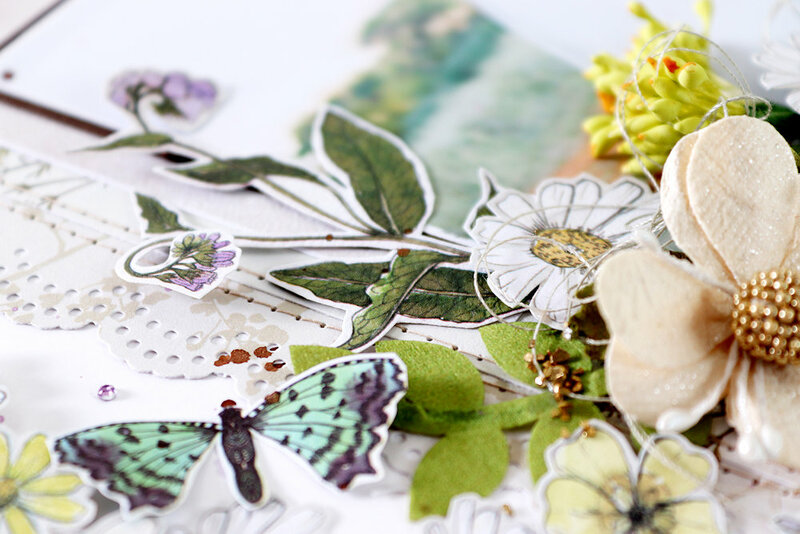 I cut out a large selection of all the different flowers to create my clusters with. 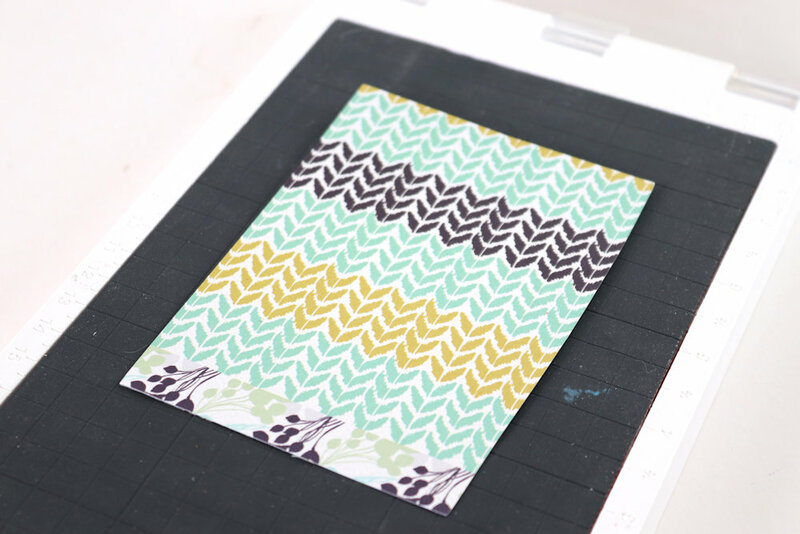 step 2 – Cut a strip 3″ (7.5cm) wide from the striped paper piece. 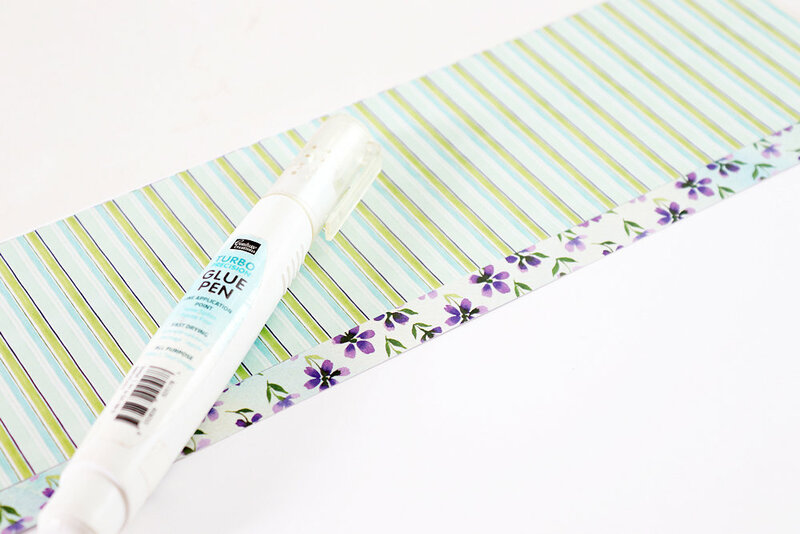 Trim the barcode off as well to use from this sheet. 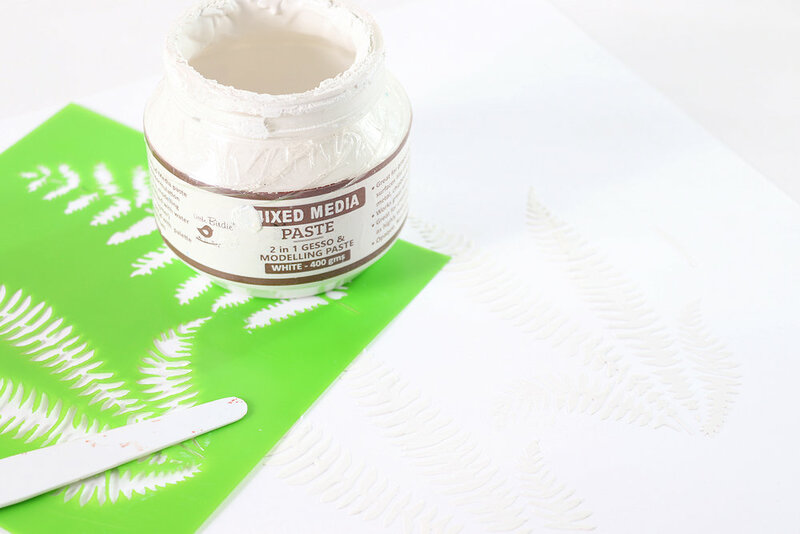 Adhere the striped piece flush at the top of your background cardstock piece, and the barcode strip just below it. 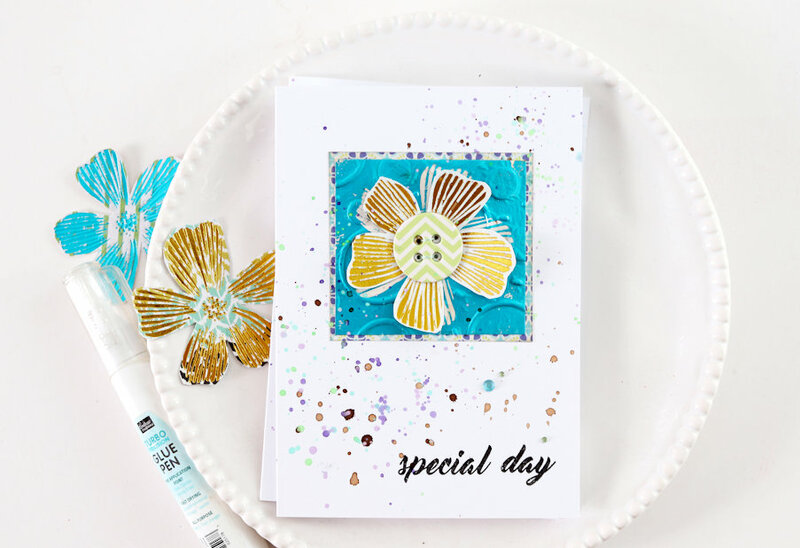 Create some hotfoil Poppy elements to use on your layout. 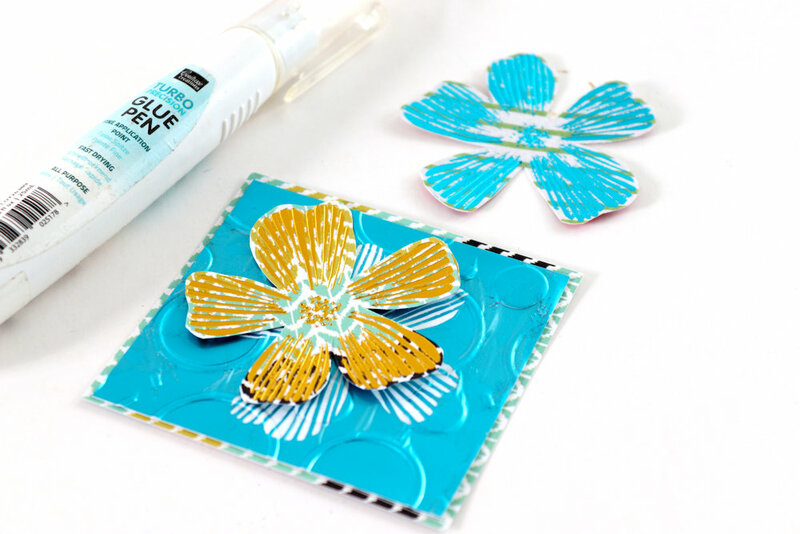 step 3 – Heat your foil stamp in the GoPress and Foil. 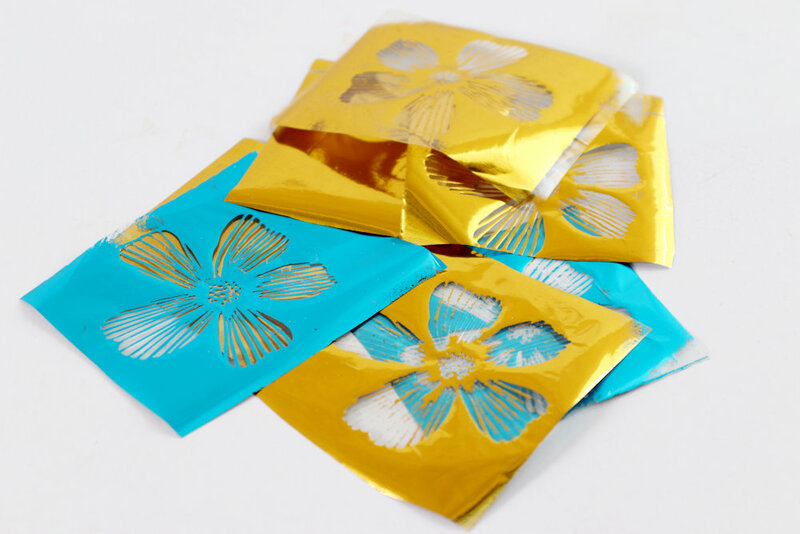 Place gold foil face down onto the hot stamp. 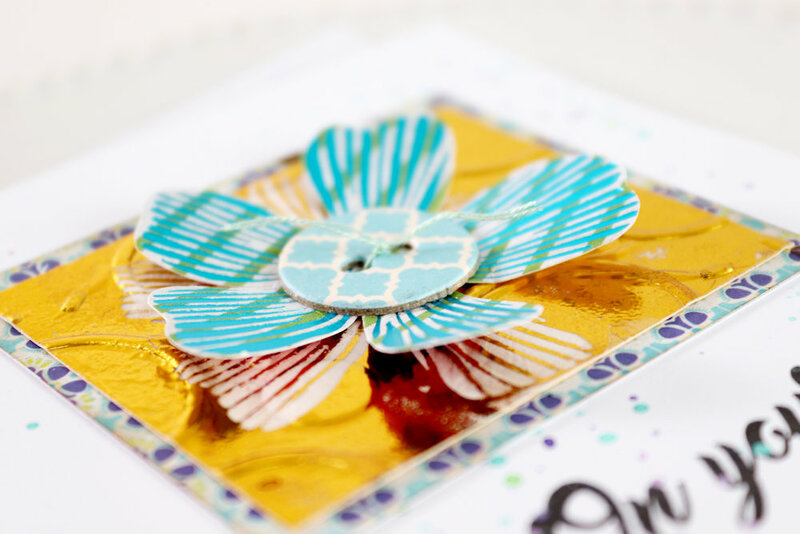 step 4 – Place patterned paper on top of the foil and then add your shims. 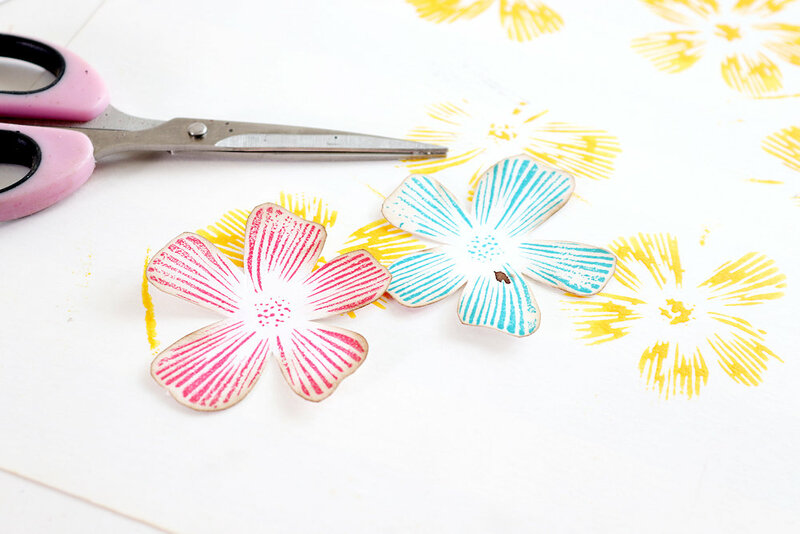 I used the back of paper #08 as well as some other scraps to foil my flowers onto. 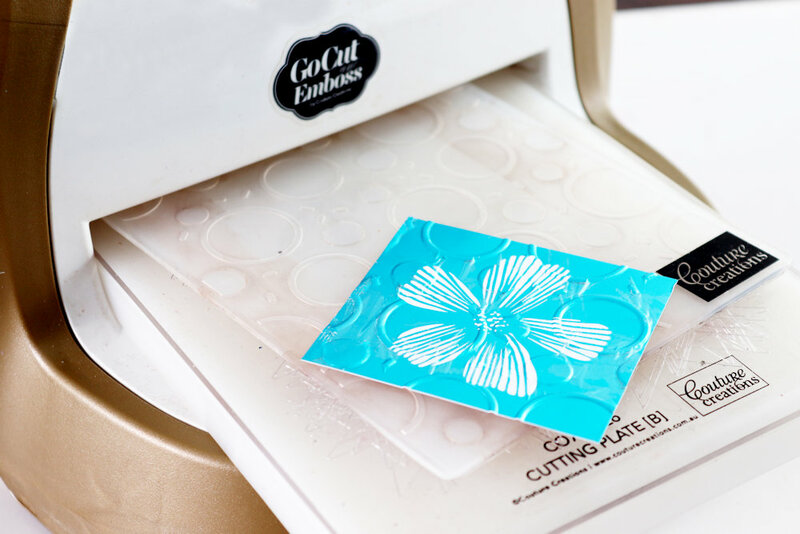 Send the stacked foil stamp through your GCut machine. 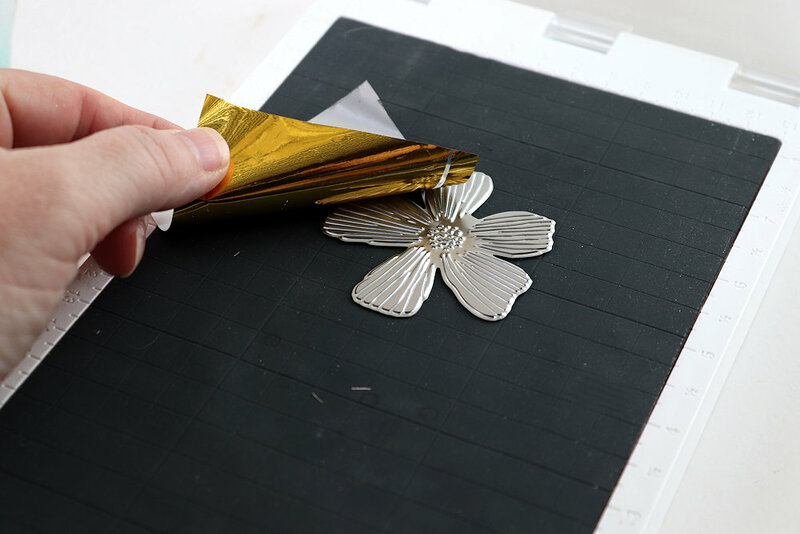 step 5 – Remove the shims and the foiled paper to reveal the foiled image. 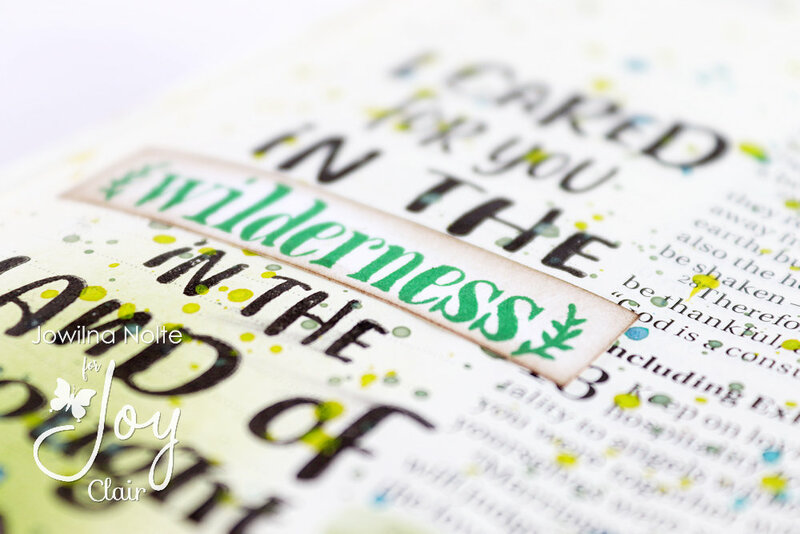 Remember to keep your foiled scraps to use – I show you how I recycle these at a later stage. 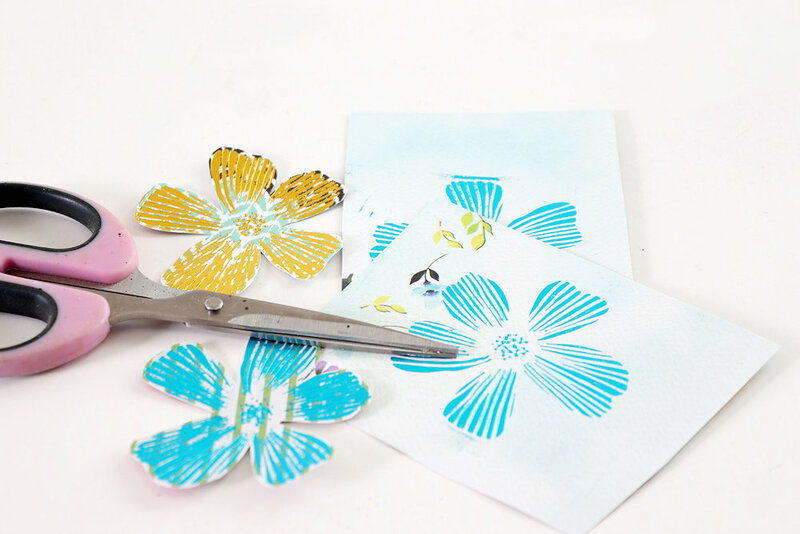 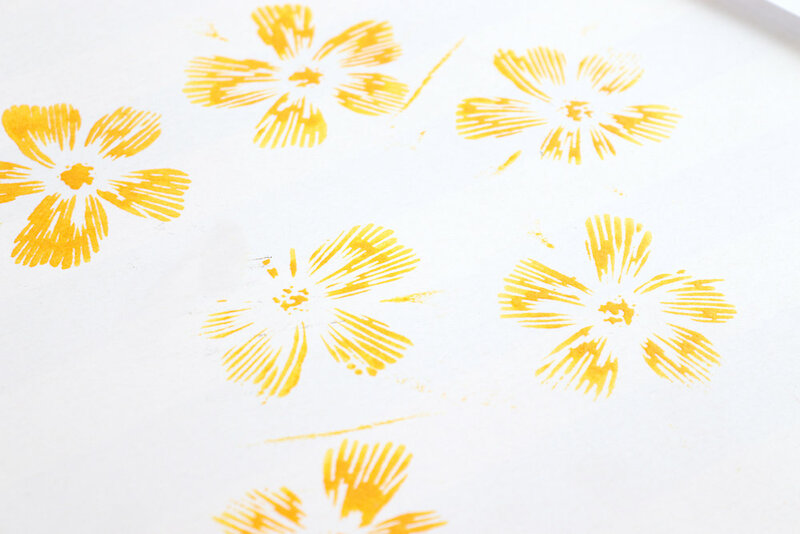 step 6 – Cut out your foiled flowers – I made some in gold and some in turquoise. 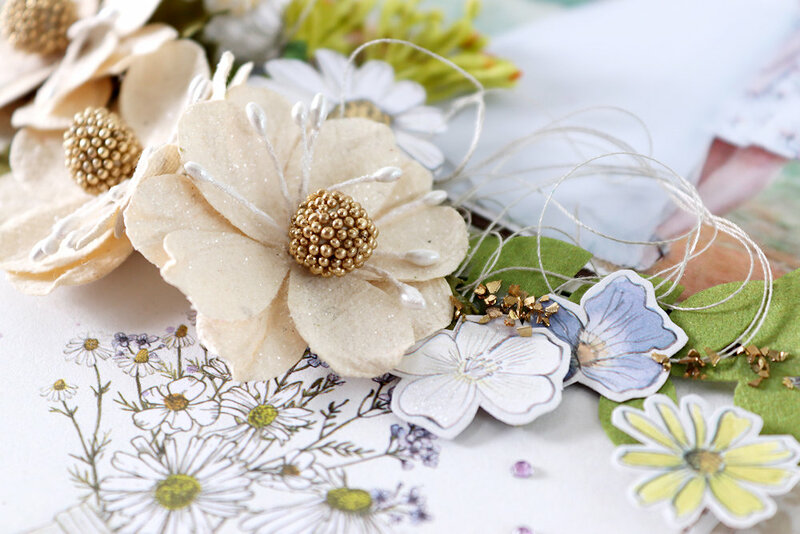 See how the patterned paper background adds interest to the foiled flowers. 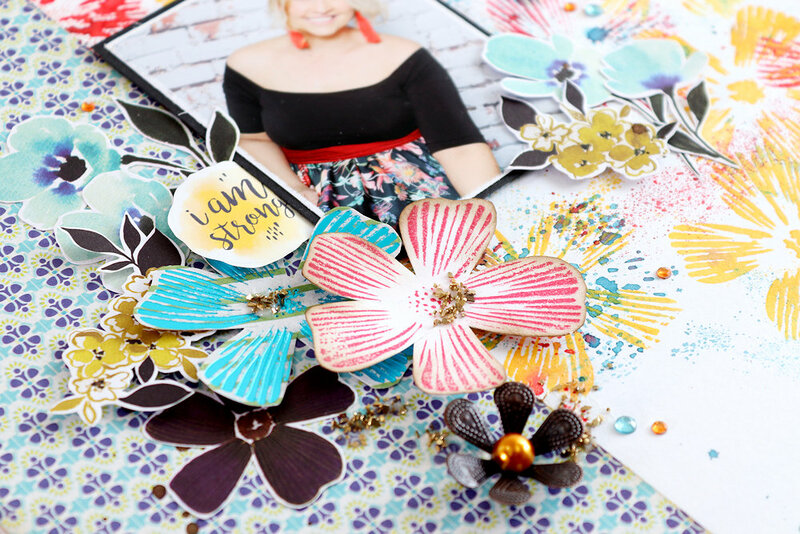 Assemble your layout by adding your matted photo. 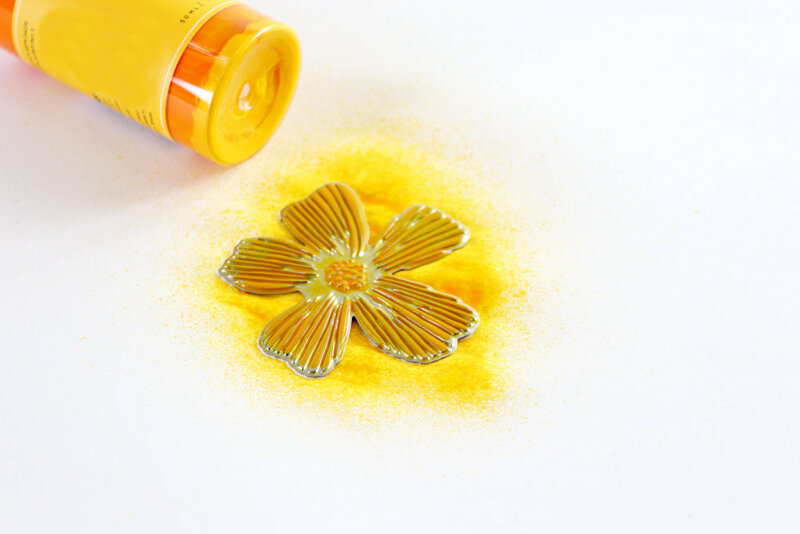 Then adhere your flowers clusters and finish off by layering the foiled poppy flowers on top. 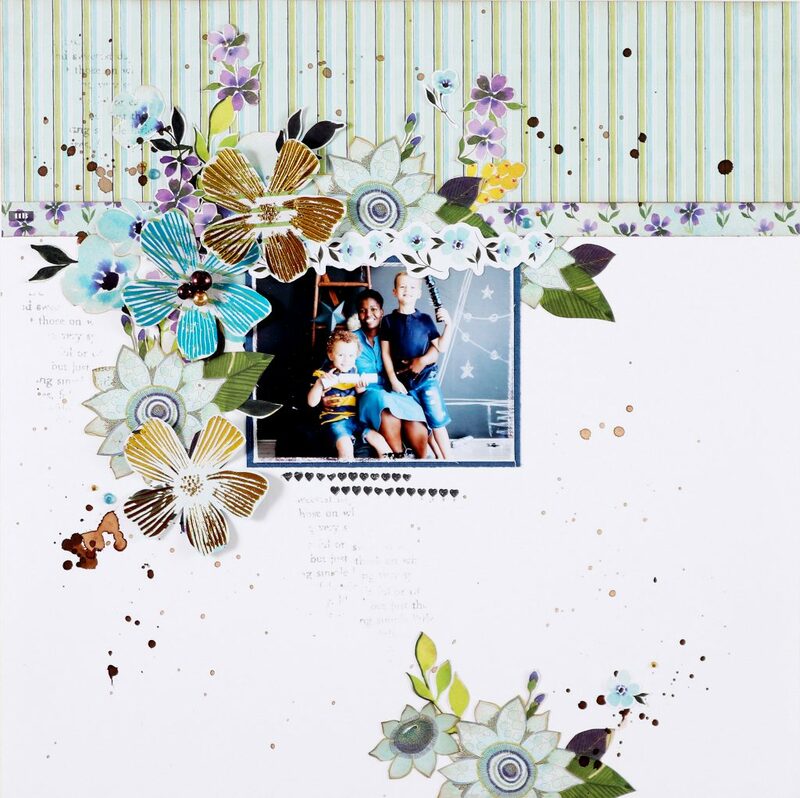 Add pearls, diamante and stamped details to your layout. 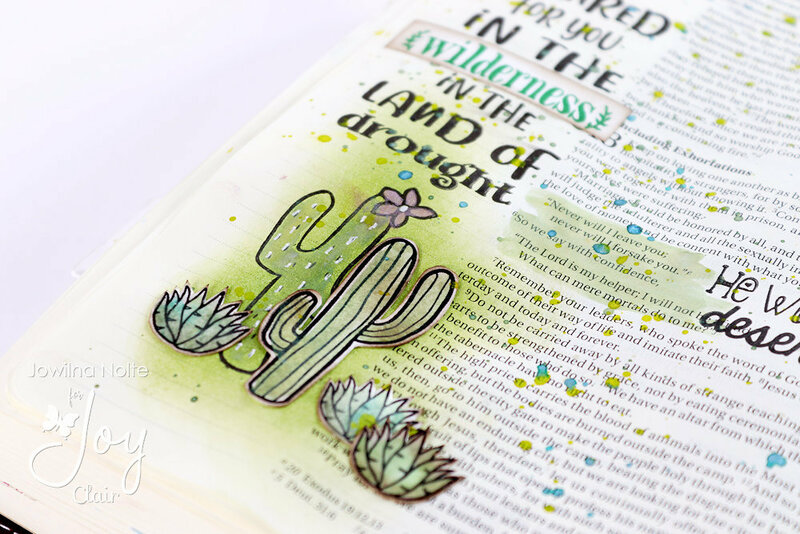 Add some ephemera elements as well. 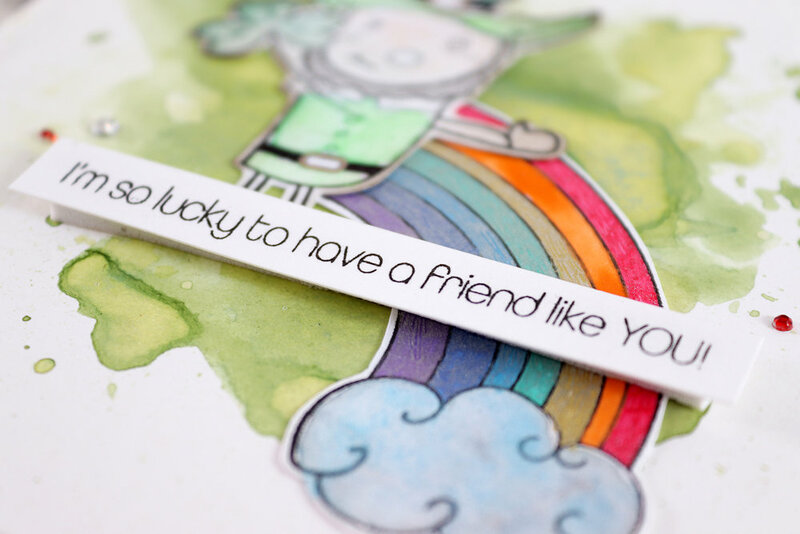 Thank you popping by today – hope this inspires you until next time. 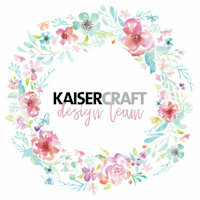 Thanks for joining me on the Couture Creations Blog today. 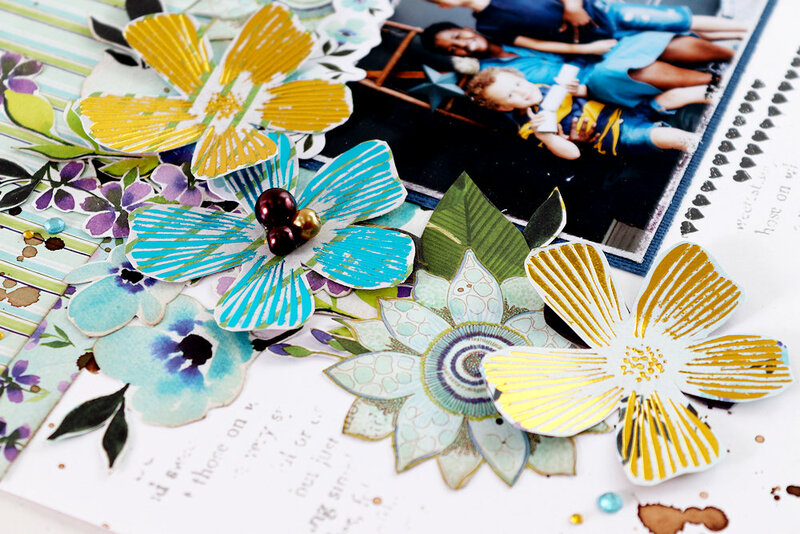 Today I am showing you how I recycle all those foiled left-over pieces that are just so amazing. 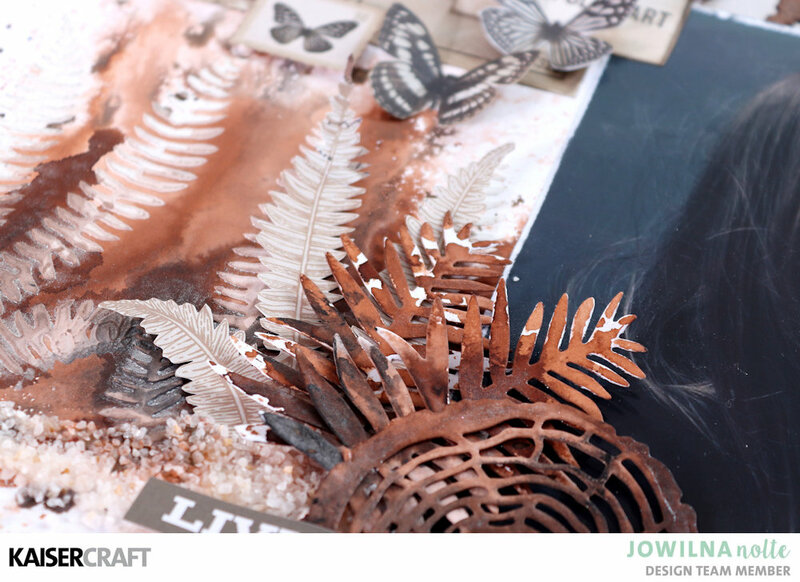 I simply can’t bare throwing away all those beautiful foil left-overs away after creating foiled elements. 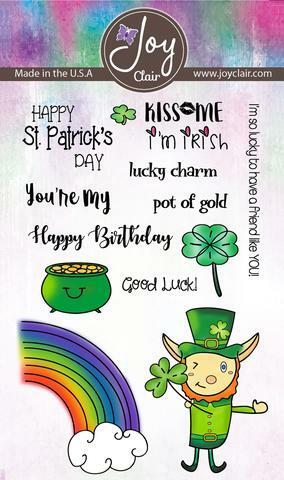 So I always have a plan to use them and turn them into quick cards. 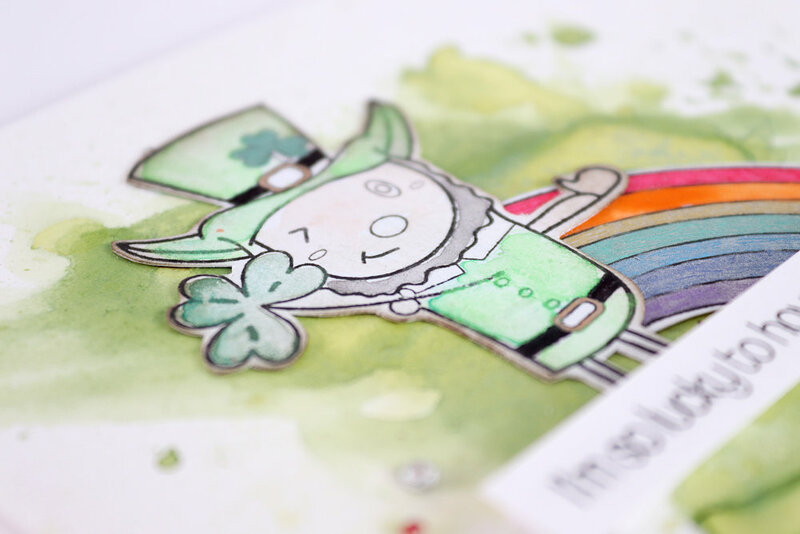 Take a look how I use those pieces together with the Le Petit Jardin range to create my quick and easy cards. 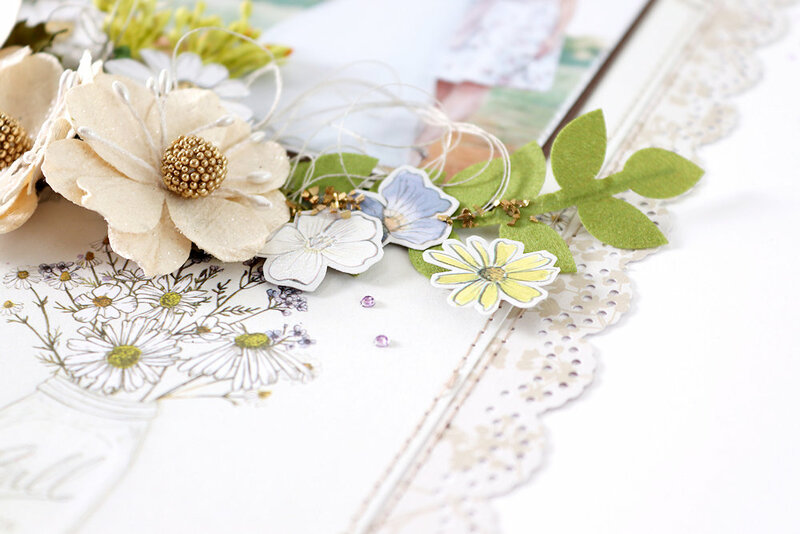 step 1 – I can’t bare to throw away my left-over pieces once I have filed elements to use. 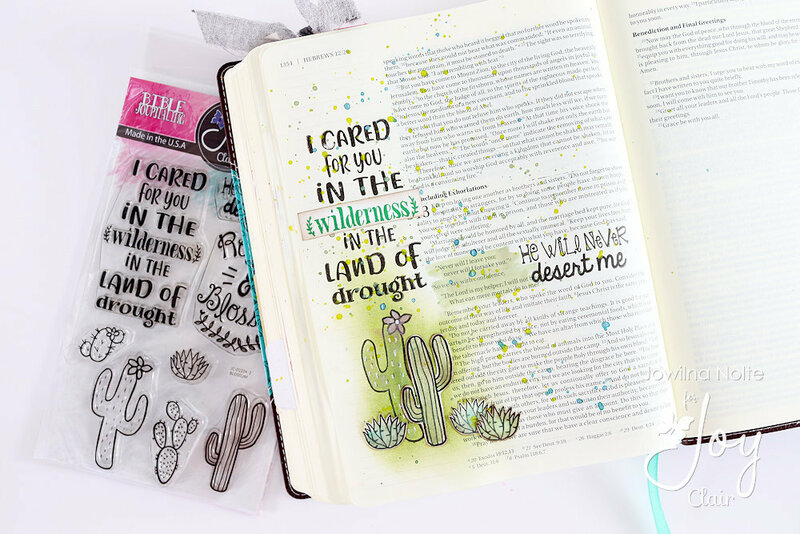 So as a typical crafter and maybe a bit of a hoarder I keep them and use them. 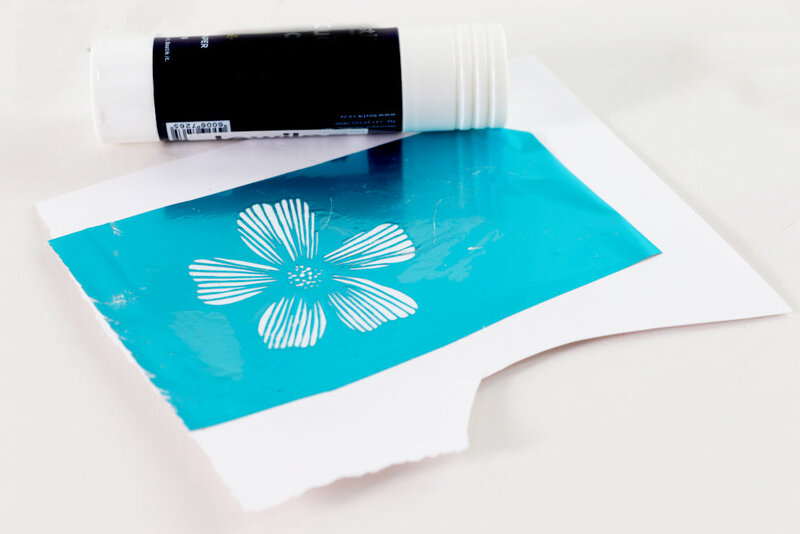 Step 2 – Adhere these pieces onto smooth white cardstock using a glue stick. 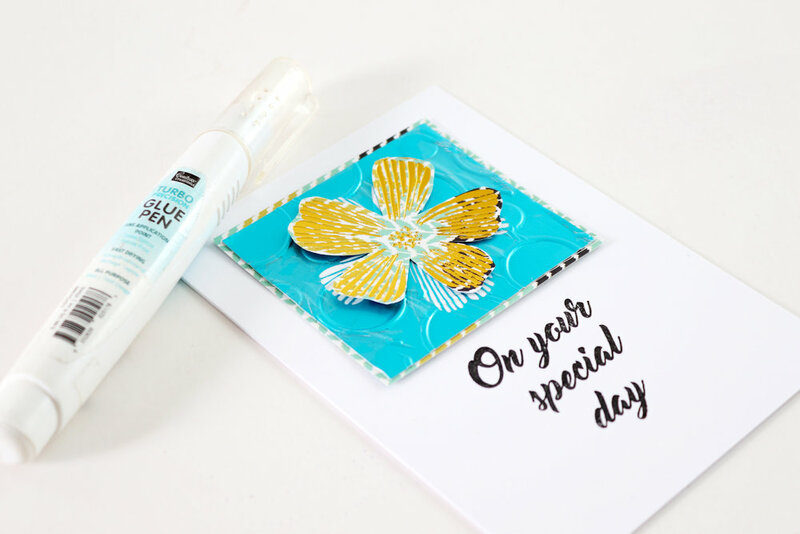 Cover the area on your cardstock using glue, and then place the foiled piece onto the glued area and smooth it out with your palm. 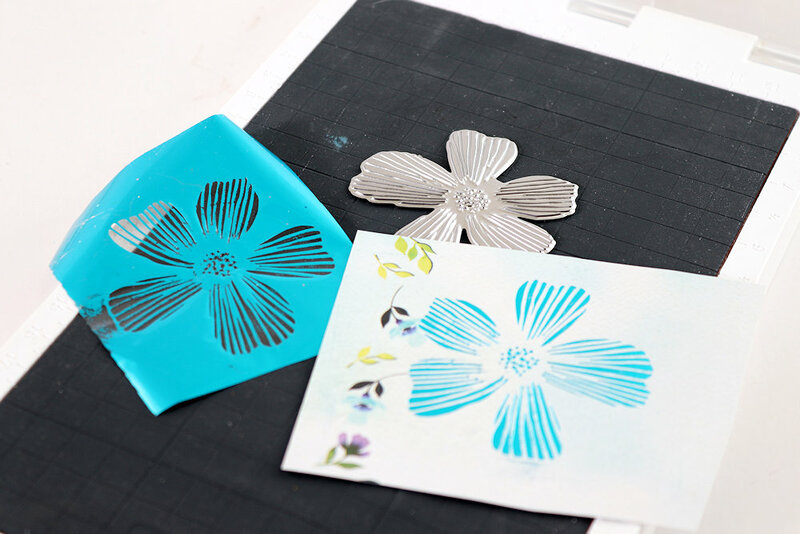 Step 3 – Trim the cardstock piece to size and then add embossing using an embossing folder and your Go Cut and Emboss machine. 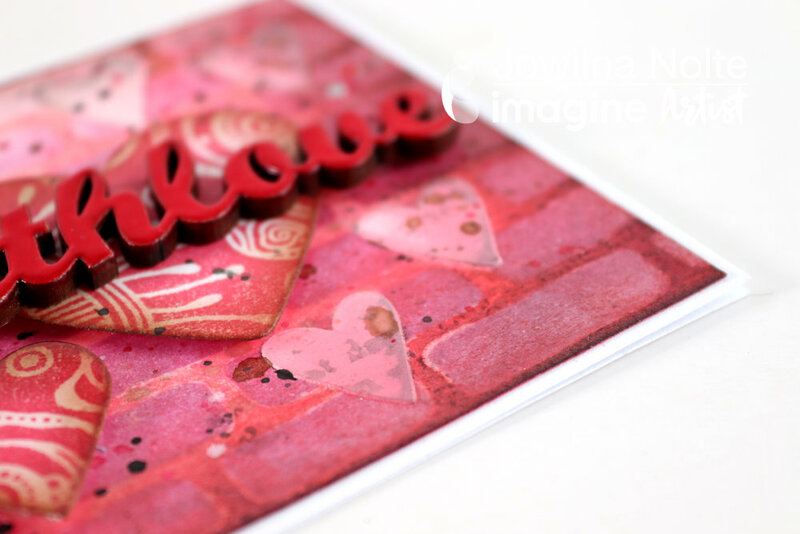 TIP: I like adding the embossing for 2 reasons. 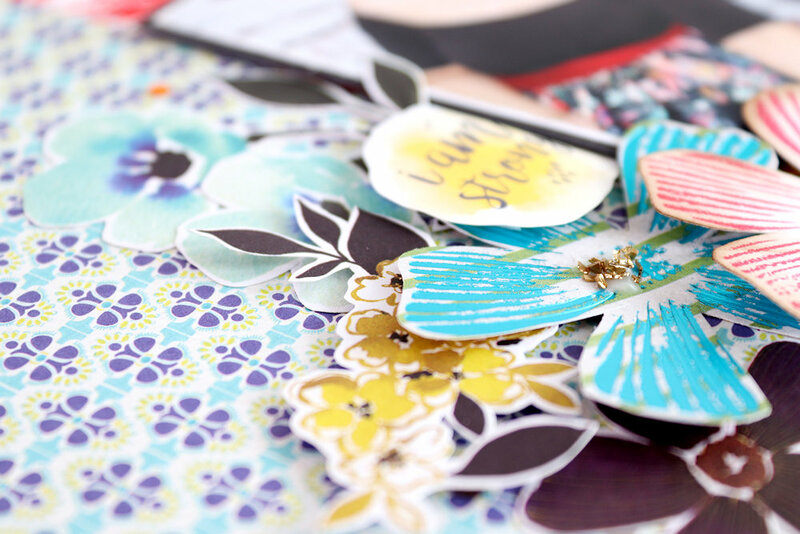 It adds interest, but it also forces the foil even tighter onto the cardstock ensuring it won’t come loose ever. 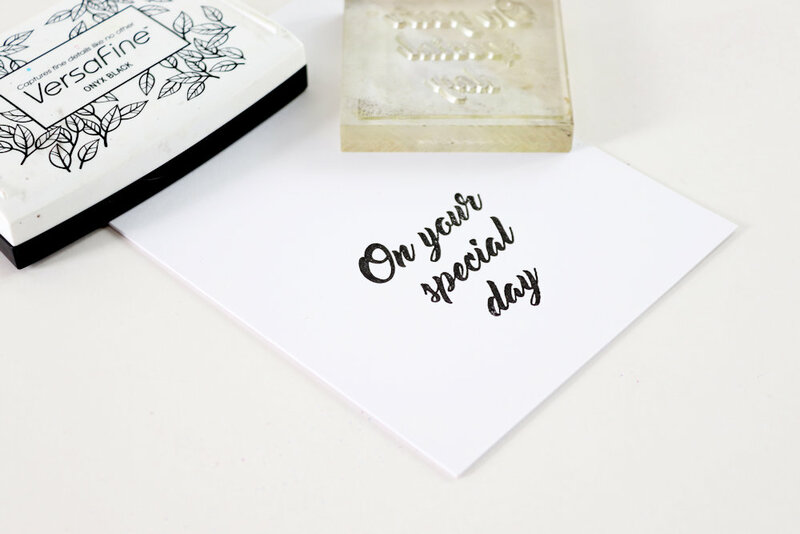 step 4 – Stamp a sentiment onto the front of your folded card in black ink. 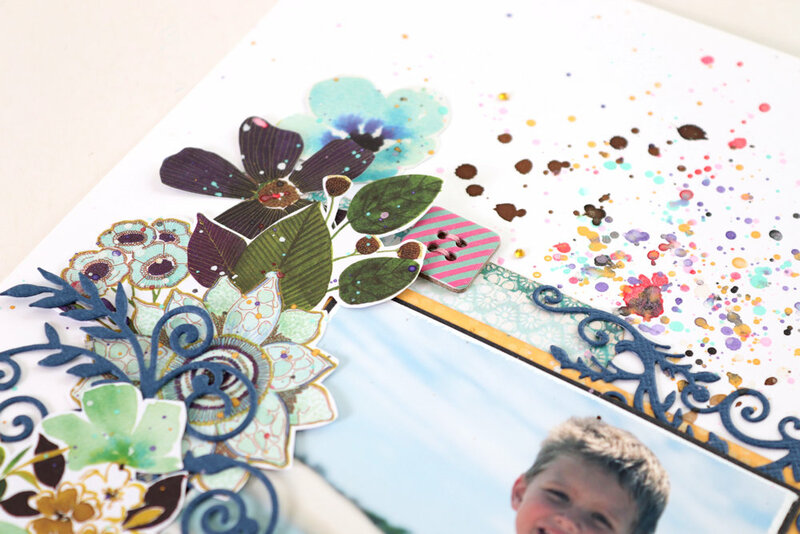 step 5 – Matt the foiled and embossed piece onto some patterned paper scraps. 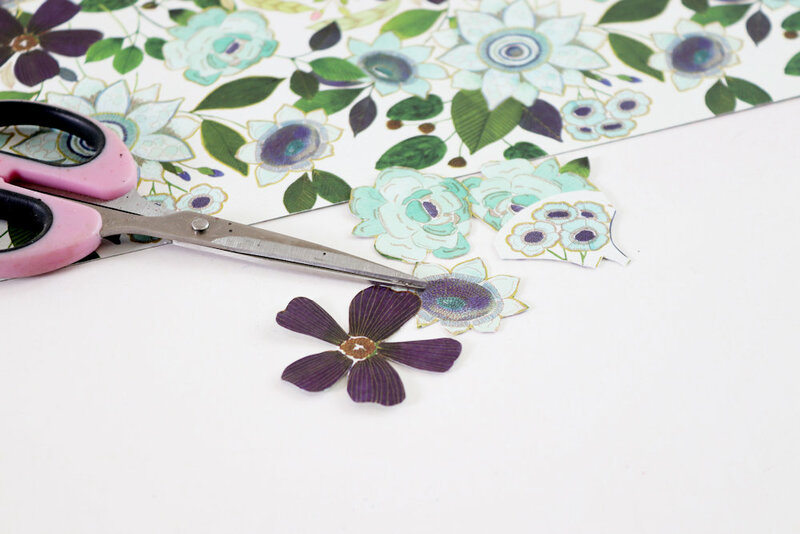 step 6 – Cut out some extra foiled flowers and adhere them to the top of the foiled background piece. 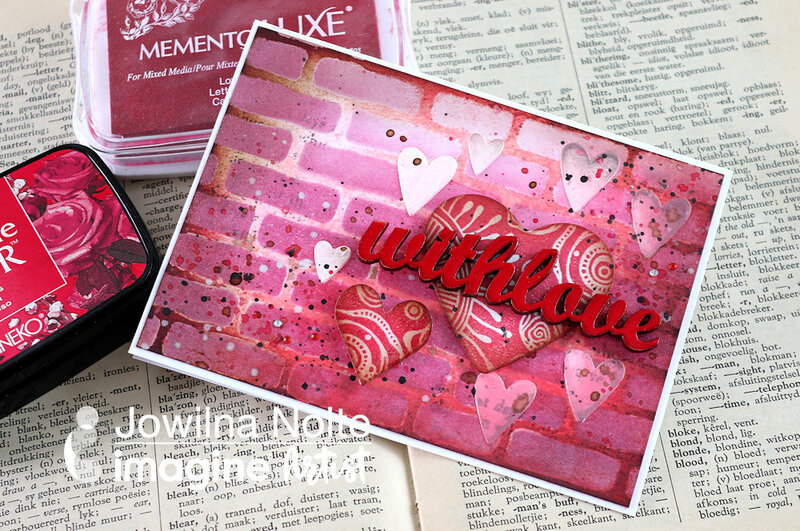 step 7 – Adhere the foiled piece to the card above the sentiment. 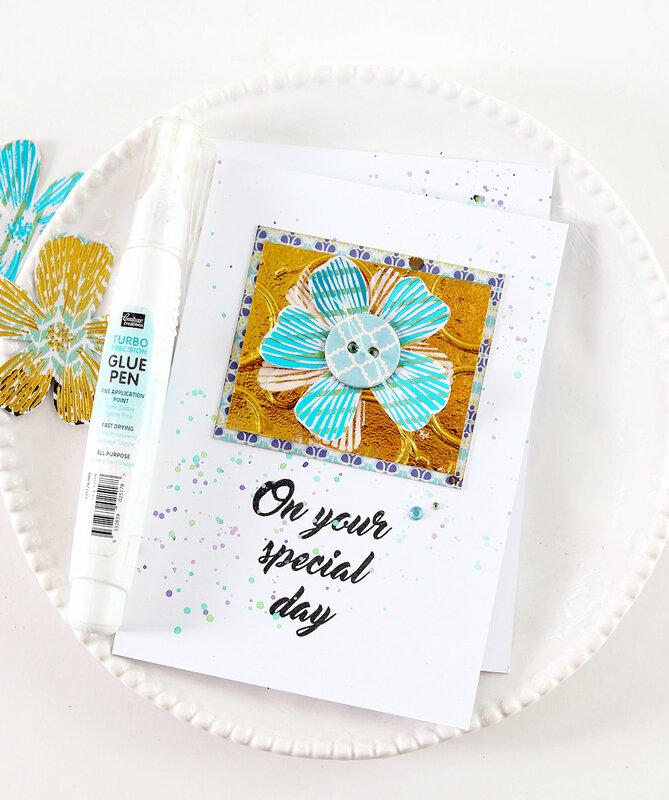 Finish off your card with some paint splats and diamante. 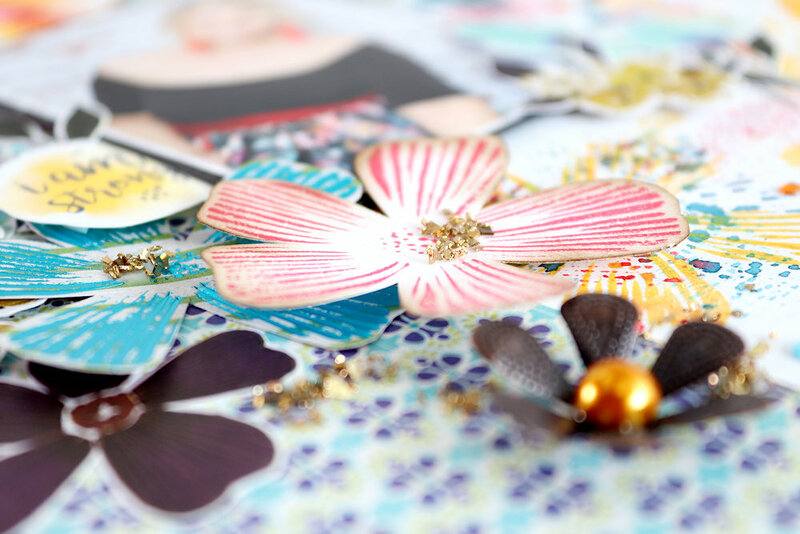 And in a few easy steps you have recycled some of your foiled left-overs and created a gorgeous set of cards.